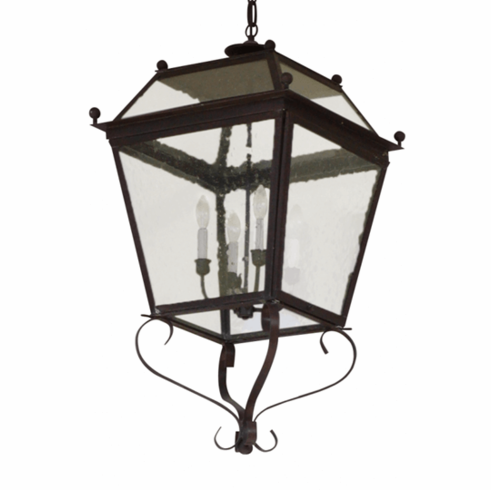 The Beacon Pendant Hanging Copper Lantern, shown in Dark Copper finish with Water Glass, is a handmade outdoor lighting fixture made in the USA from solid brass and copper. 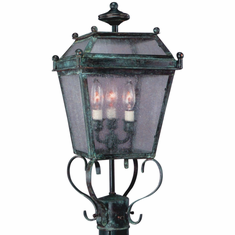 Designed to last for decades indoors or outdoors, this traditional copper lantern lighting fixture is hand finished with your choice of any of our seven all natural hand applied "living finishes" at no extra cost. 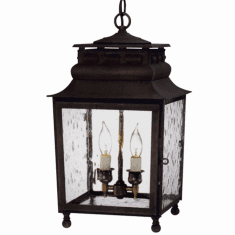 Also choose from four unique styles of glass. 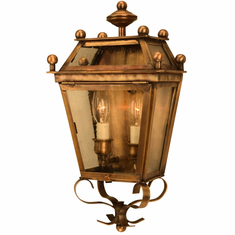 Perfect for use as an entry or foyer light indoors or outdoors in Traditional, Colonial, Early American, Log & Timber and Rustic style homes, lake homes and cabins. 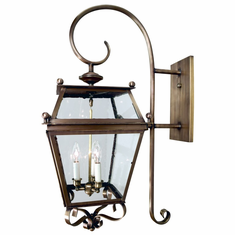 UL listed for wet locations, the Beacon Pendant will never rust or corrode making this hanging lantern perfect for use in damp or waterfront loctions Also available as post light, wall light with a bracket, a pier-base lantern and wall sconce versions in a variety of sizes and options.